When i was a kid i used to be FRENZIED about yellow. As a little drama queen i wouldn't drink unless it was out of a yellow cup (gosh do you feel sorry for my parents too?). Now, the yellow fever is coming back to me like a boomerang. I. Am. Hooked! 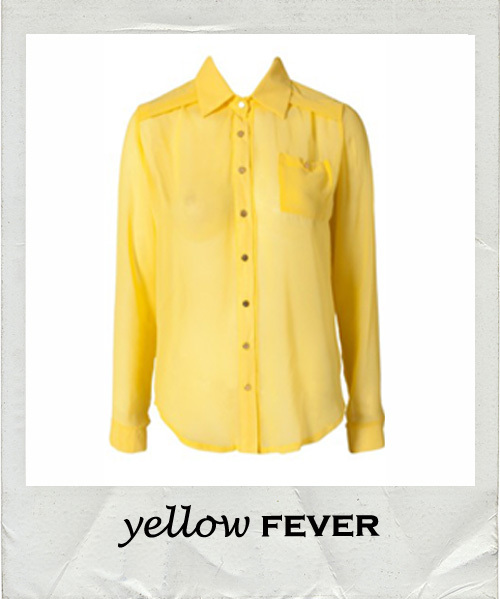 This blouse via Nelly.com (17,95) is the first result of my new obsession, and i am sure more yellow will invade my closet. More conviction required? 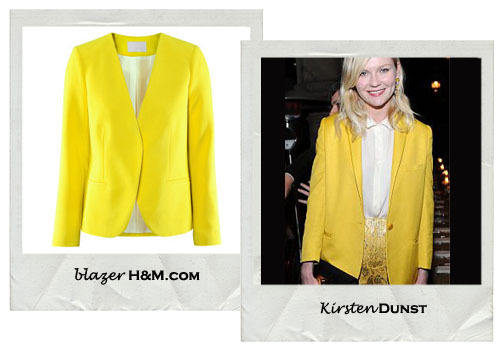 Take a look at Kirsten Dunst in Stella McCartney/Rodarte. Luckily H&M offer a perfect fill-in. Feeling feverish already? My yellow pumps are still shining, let the summer begin!